What to know about you before you start any psychic program.  Why are you thinking about doing a psychic ability program? I know you have been having interesting and amazing experiences in the lead up to being here now with me and reading this; your personal checklist. Take a moment now to sit down with me; give yourself what you need; the gift of consideration-what you would give to a friend naturally!! When you complete the program, what is the environment you want? ~How you want to act- what psychic ability ‘looks’ like for you. How much of your ‘time’ does the skill of psychic ability take up?  ~The skills you want- do you want to be able to use psychic ability as a ‘party trick’—all the way up the scale to actually working as a psychic consultant. ~What needs to change? How are you making space for psychic awareness? What does it mean for you to do that? How are you blocking being successful at perception? What would it mean to really perceive- what fears would you need to let go of? ~What do you like? What sort of information do you think you naturally attune to? ~What are you noticing that you hadn’t before? Why is it time now to grow in psychic ability? What will happen if you do? What will happen if you don’t, and you have done nothing about your new learning’s and understandings a year from now? ~What do you want more/less of? Decide your intentions. ~What do you do that does work? Are you currently meditating on a daily basis, or having perceptions more regularly? ~What do you do that doesn’t work? Do you ‘spend’ energy that gets you negative results? Such as watching scary movies when you know they bring out things for you that ‘shut you down’? ~What thoughts are you having around that issue? Have you imagined a way forward? ~What thoughts do you need to have to invite psychic growth? What would the greatest psychic version of you look like and do in relation to this? ~What do you like and want more of in your thinking? ~What do you need to do less of in your thinking? ~Does your behavior align you with what you want to achieve? ~What skills do you have? ~What skills do you have that you are not utilizing? ~How could you utilize them? ~What skills do you need to get? This will help you find the right course for you. ~What skills do you need to develop even more? ~What do you do well? ~What is important to you? ~What do you believe you are capable of? ~What empowering beliefs do you have about others? ~What principles do you live by? ~What is your mission in life? ~Who are you? What sort of person are you? ~What are your spiritual beliefs? ~What is unique about your beliefs about how you fit into the world? I know this checklist has bought a new dimension of understanding yourself and where you project yourself going on your psychic journey. This knowledge you will notice brings you closer to who you really are.